Work is over, the night is still young, its RUSH HOUR! Prep yourself in minutes with the handy, NEW Australis Rush Hour Palette, the perfect make-up kit to stow in your car or handbag for quick cosmetic touch-ups on the go. 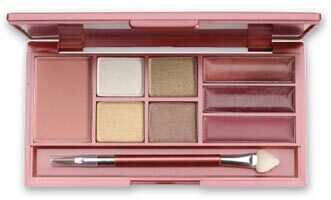 The fantastic Australis Rush Hour Palette contains 4 eyeshadows, 3 blushes, 2 lip glosses and 1 lipstick, all housed in a cute make-up palette with handy mirror and applicators. There are two shade variants: Earth Colours and Pink Natural Colours.